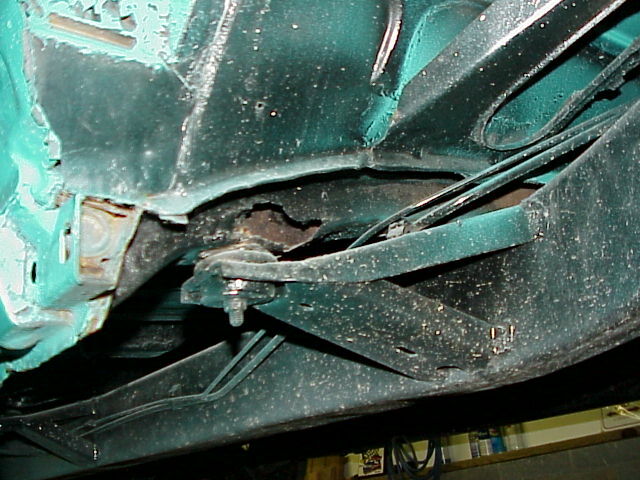 This page documents the condition of the Nomad at the time I purchased it in November, 2002. 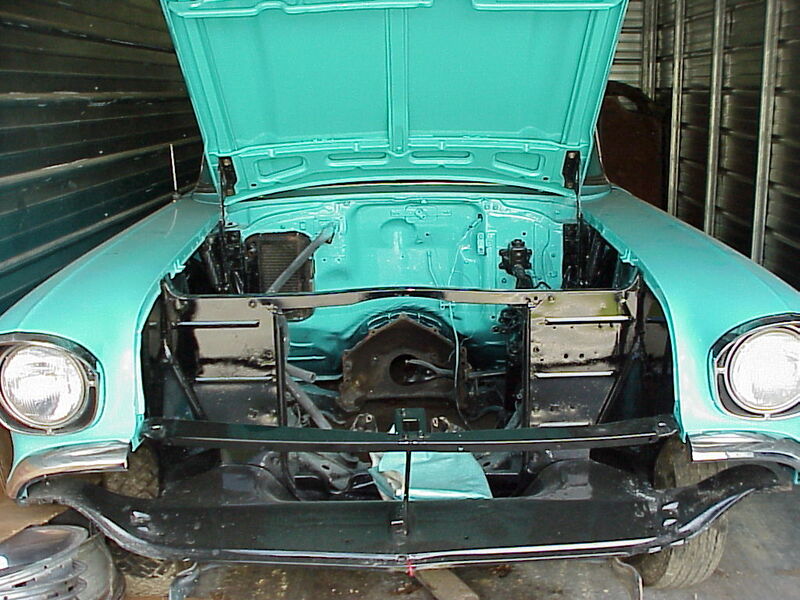 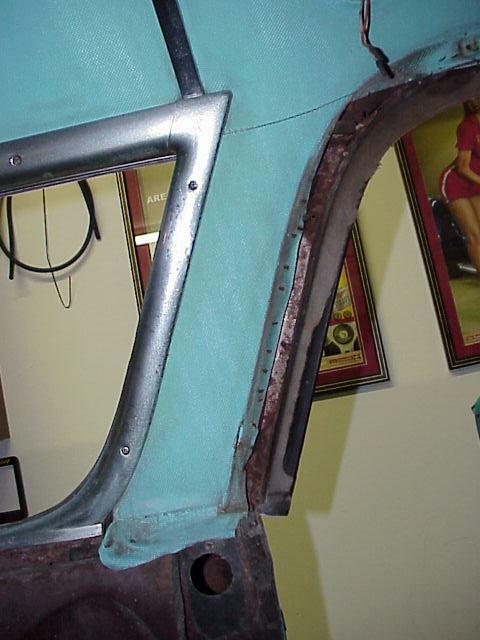 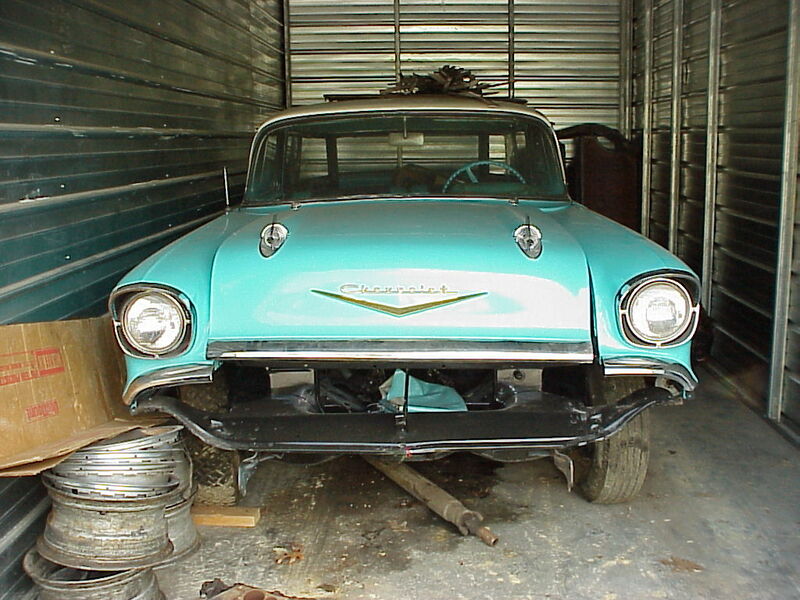 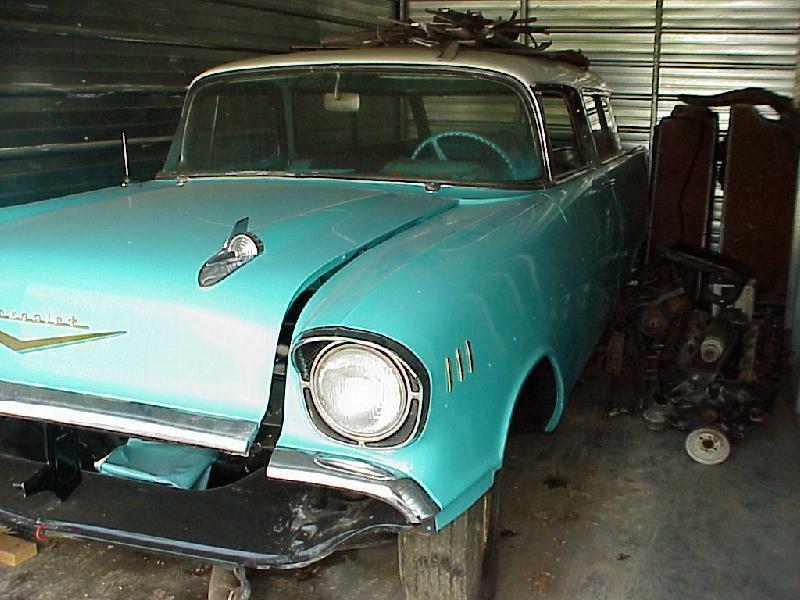 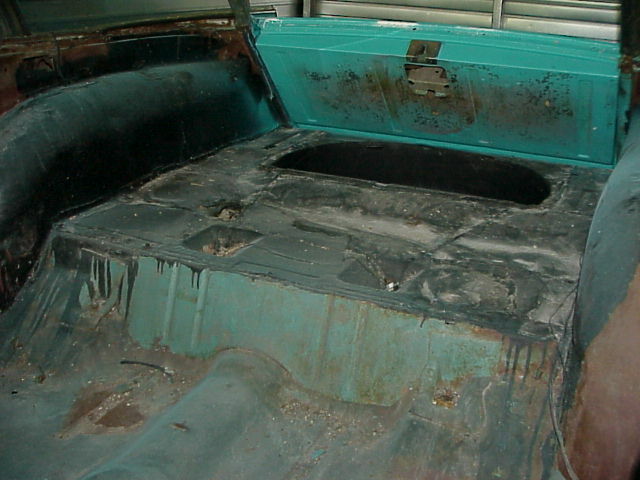 As the pictures show, a previous owner had started a restoration and given up on it. 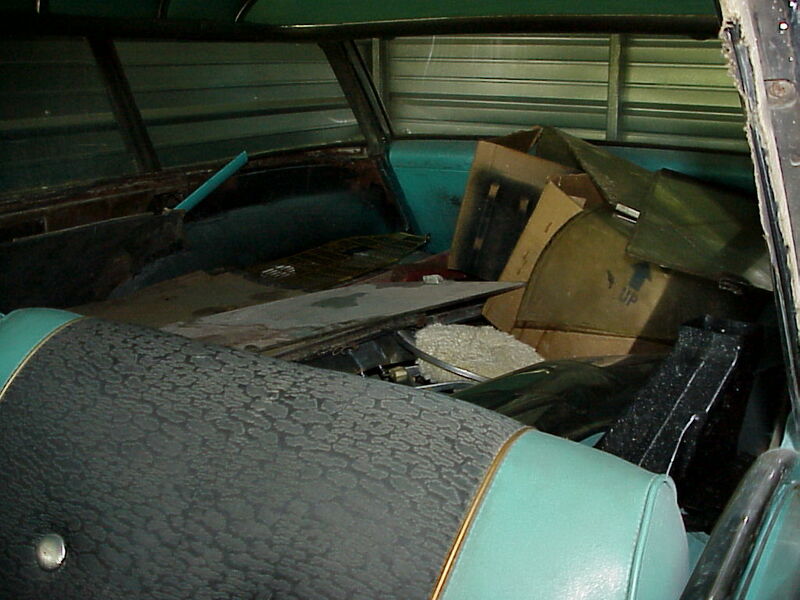 It has changed hands at least twice since the work was stopped, so I am hoping that most of the loose parts are still with the Nomad. 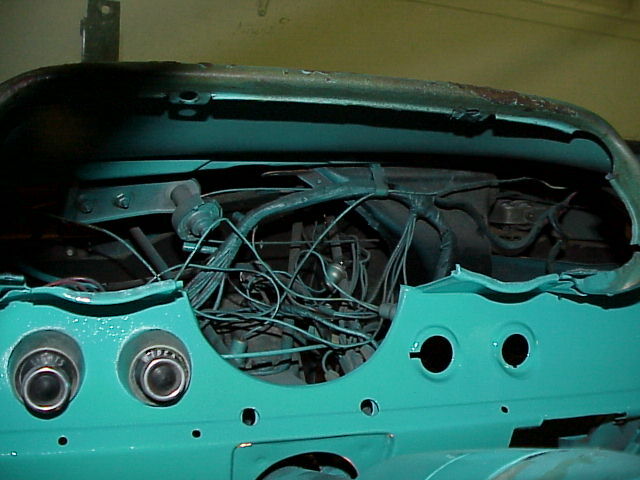 I will know more once I get it sorted out. 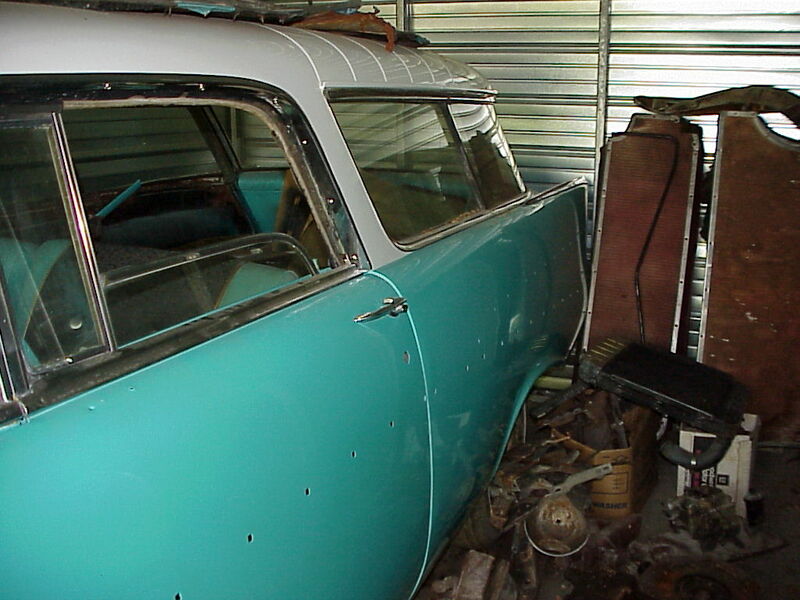 In December of 2002, I brought the Nomad to my home to begin working on the project. 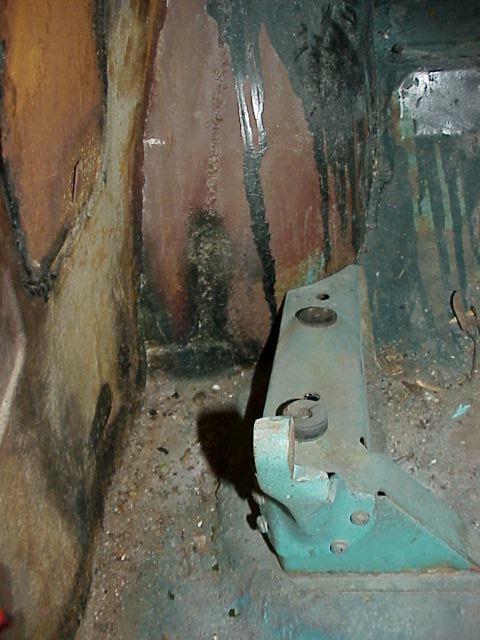 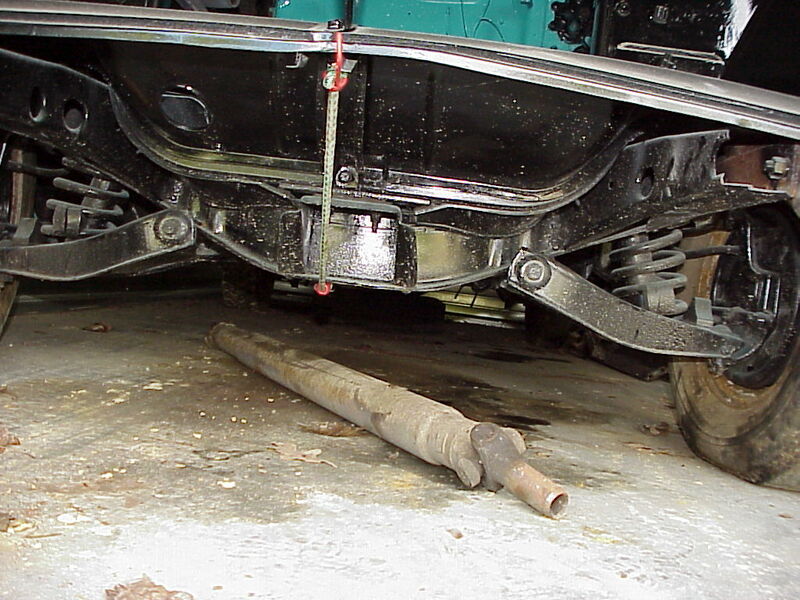 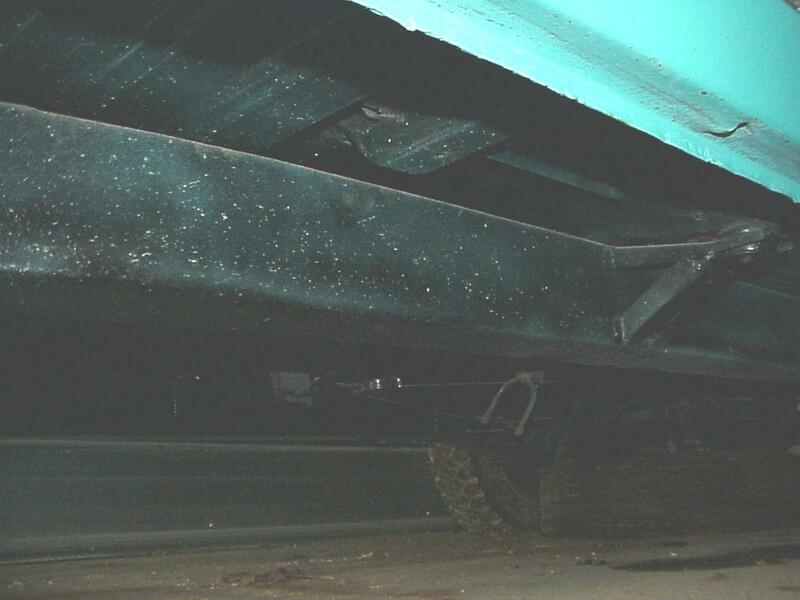 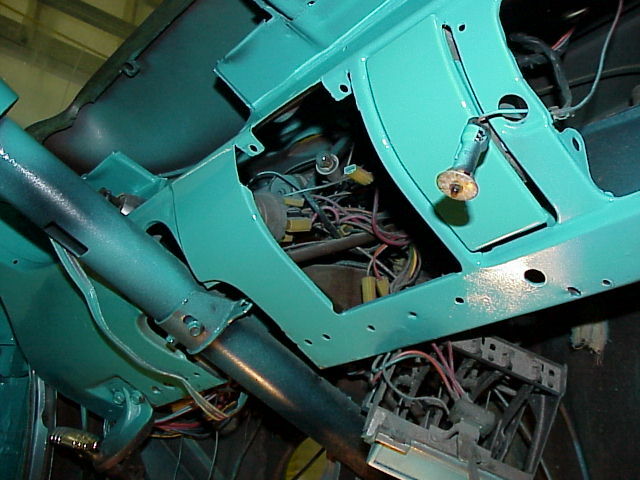 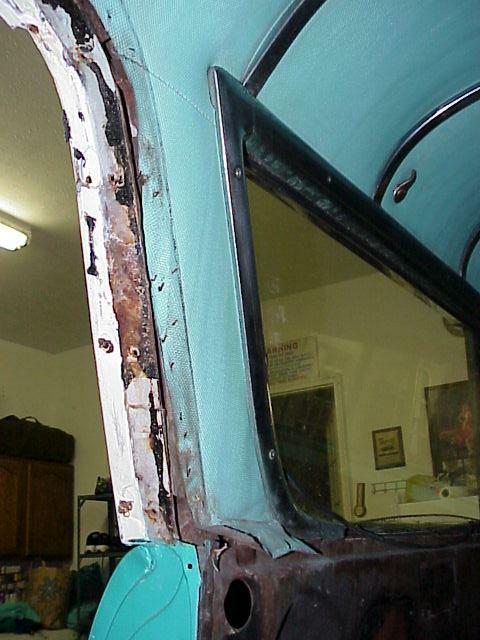 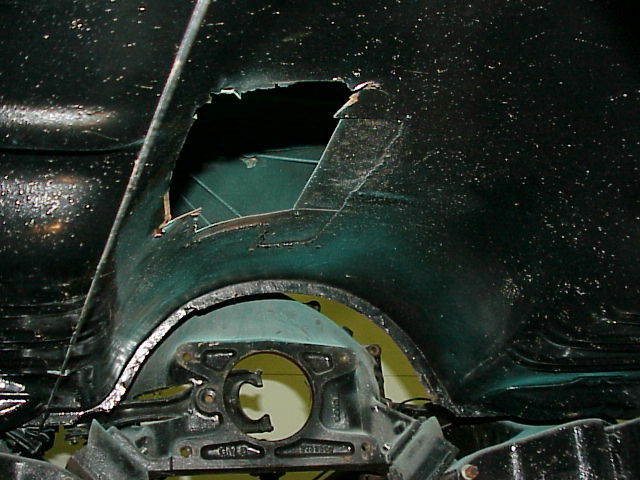 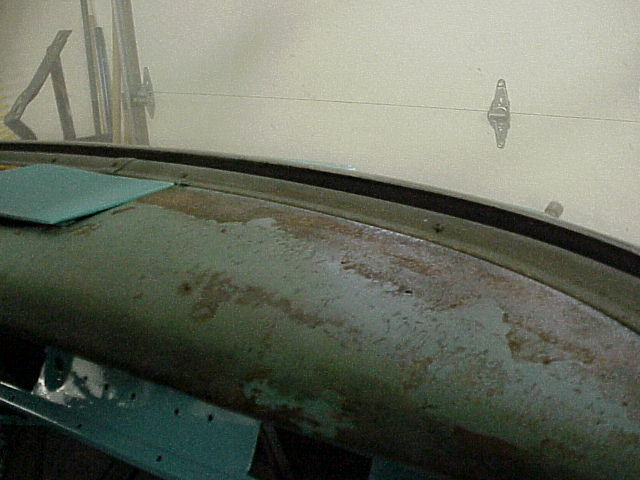 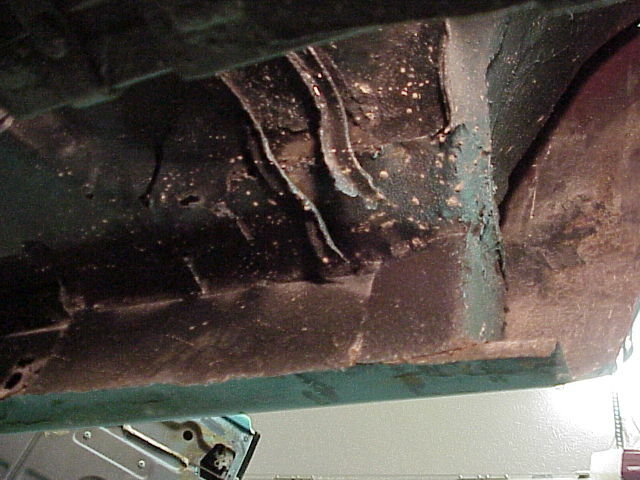 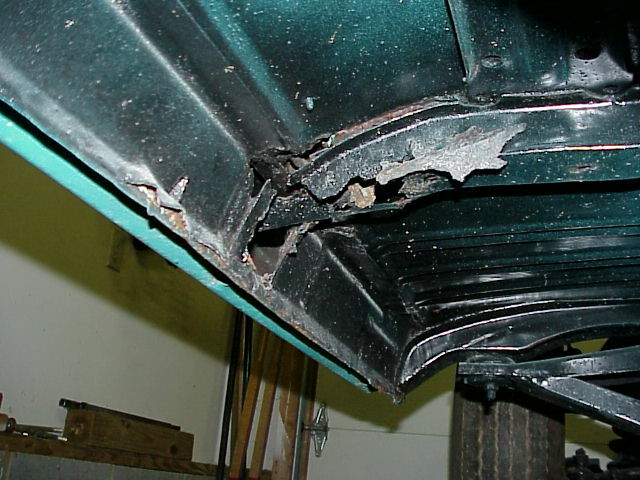 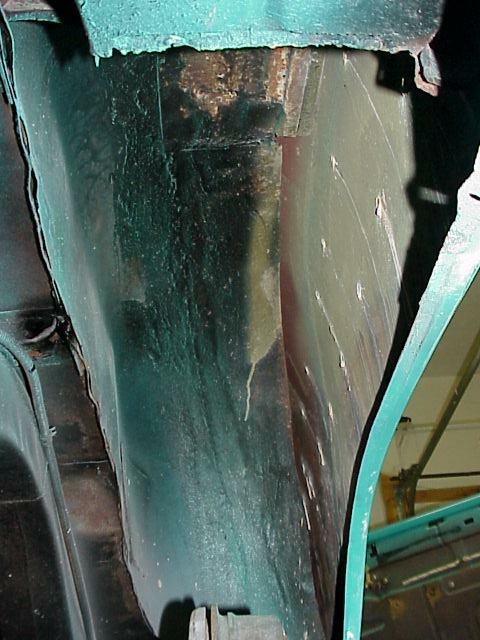 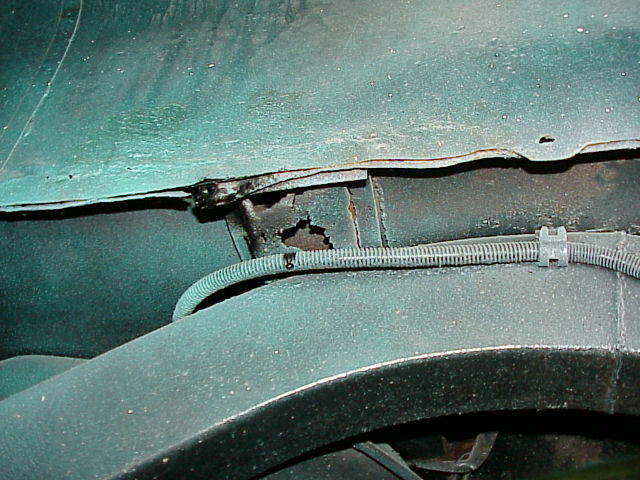 New Year's Day, 2003, I crawled under the car to determine extent of repairs needed for the underside of the body. 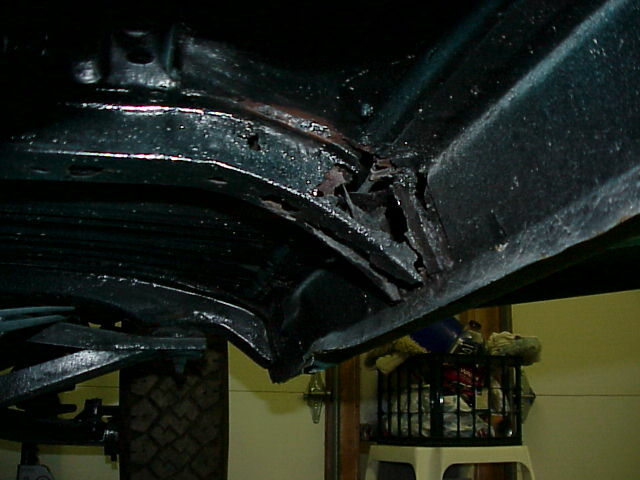 I found quite a bit of rust, but no more than expected. 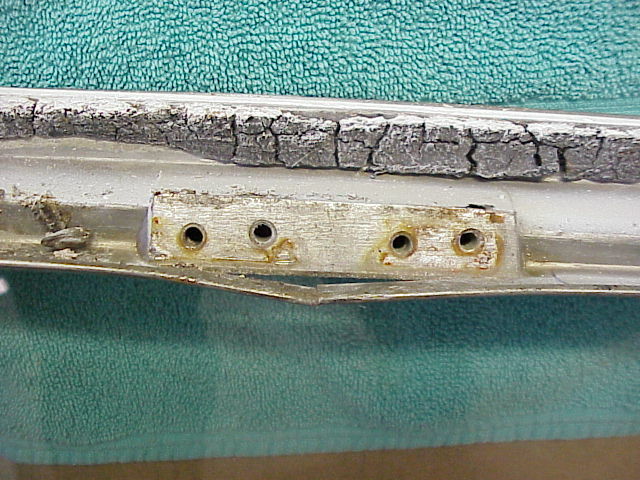 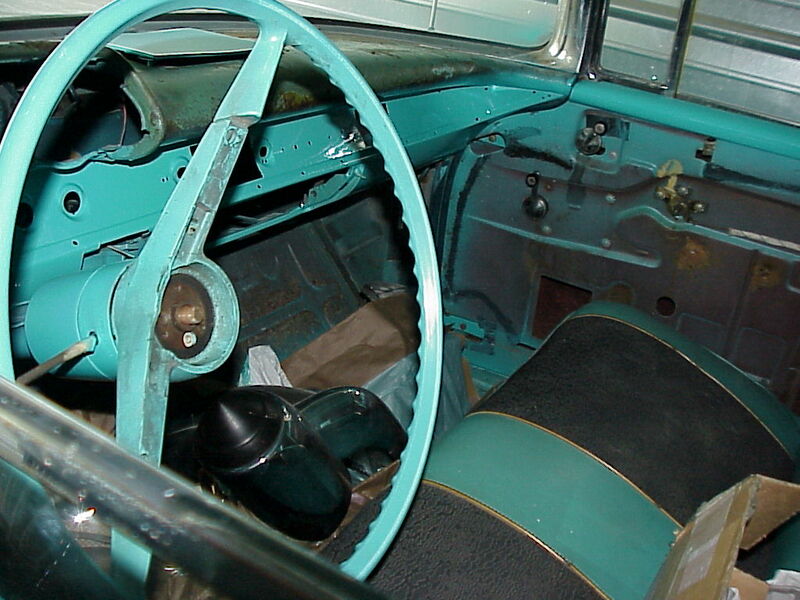 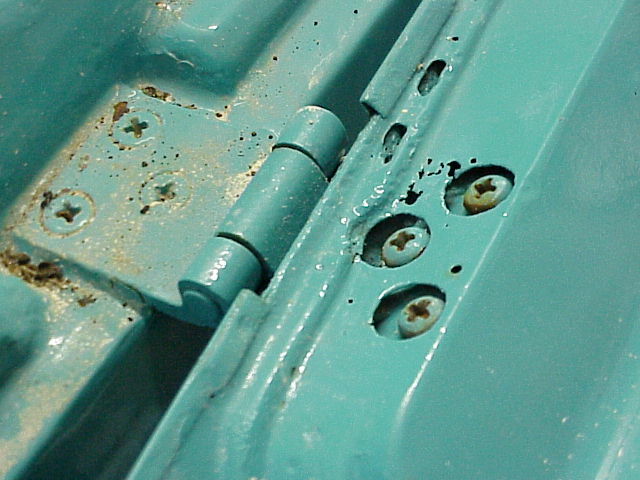 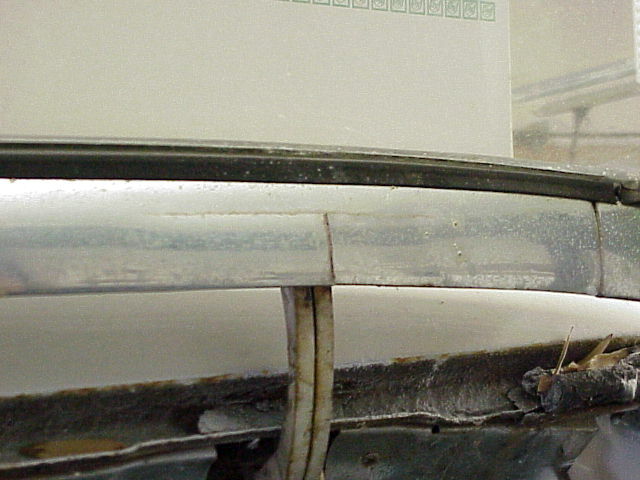 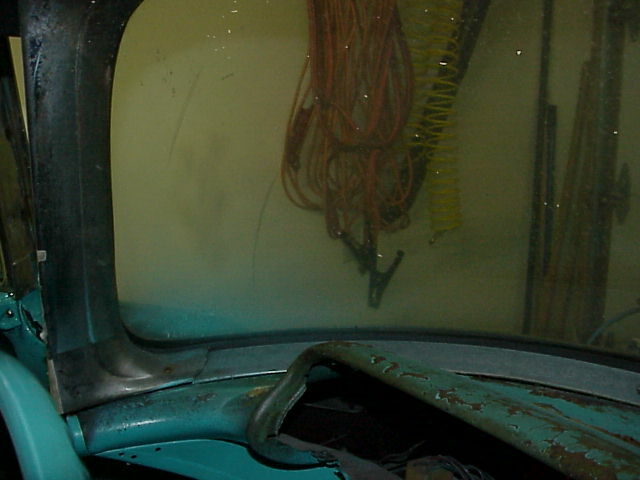 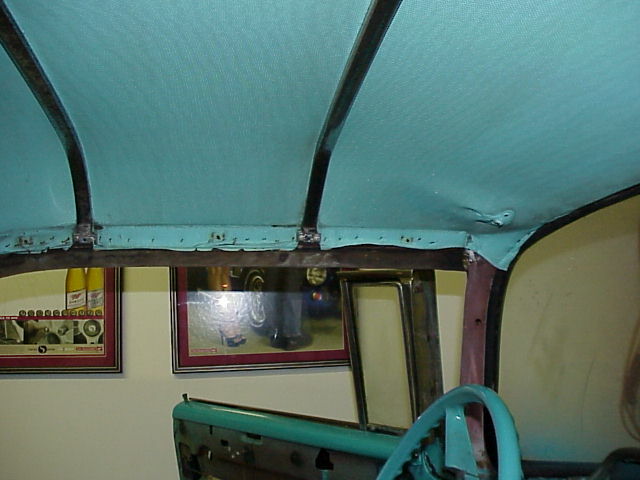 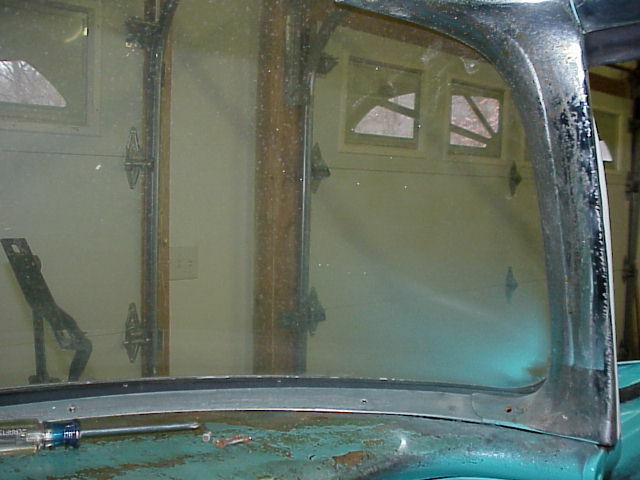 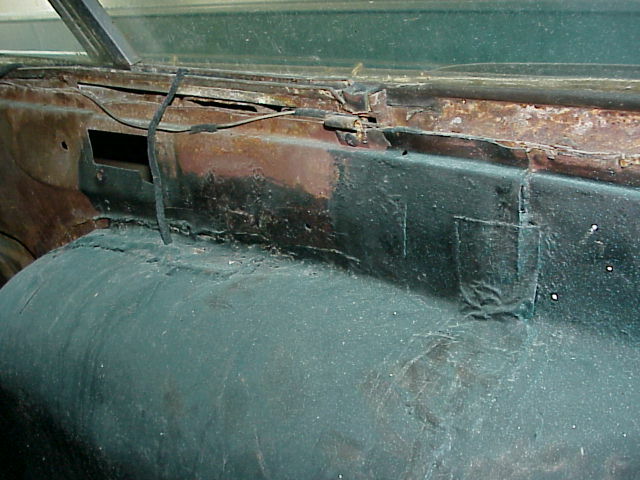 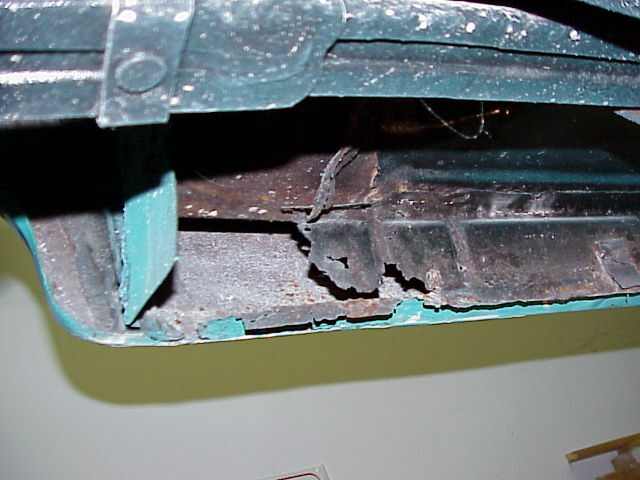 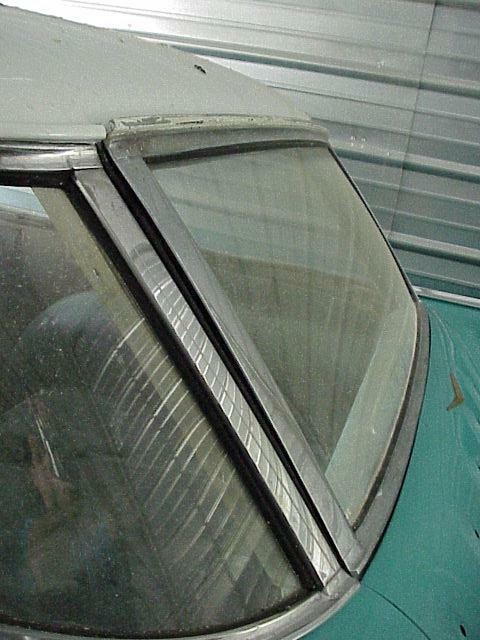 Most of the interior trim is there, but in poor condition. 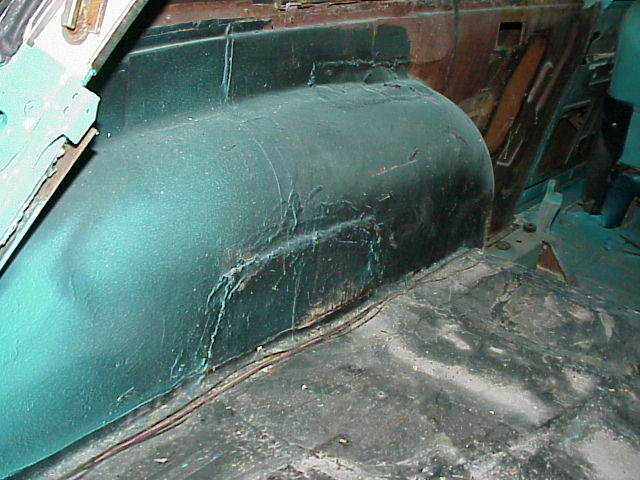 The car originally had a padded dash, so I'll have to do some research to learn what will be needed to restore that feature. 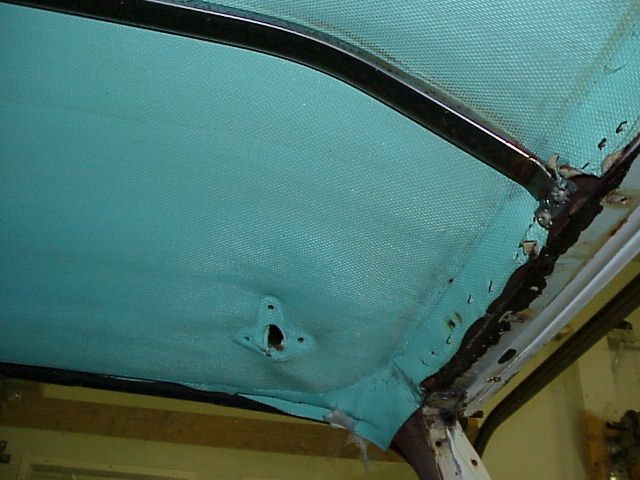 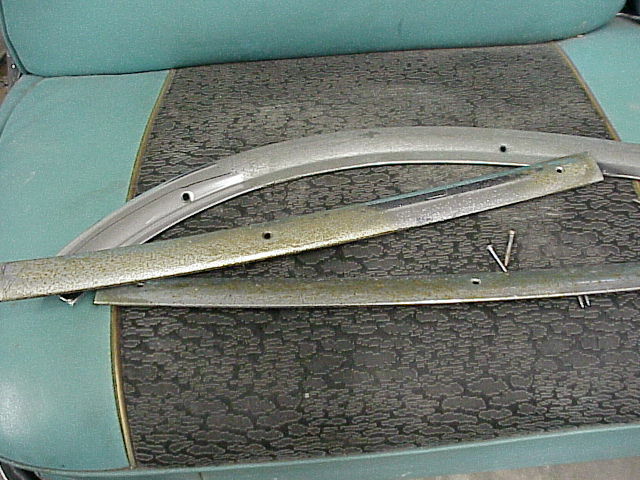 The headliner is actually in pretty good condition, but the bows are rough. 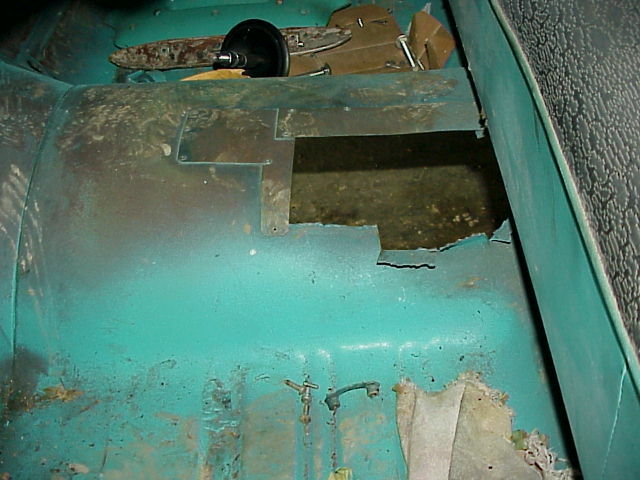 The wiring harness is DOA, and there have been plenty of extra holes drilled into the dash over the years.